Poziotinib (HM781-36B) is an irreversible pan-HER tyrosine kinase inhibitor which targets EGFR, HER2, and HER4. 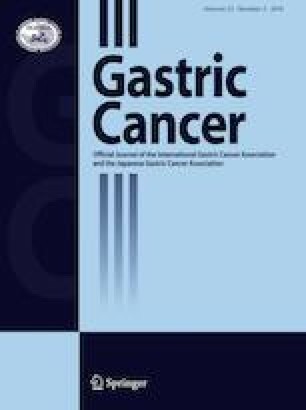 This prospective, multicenter, open-label, phase I/II study determined the maximum tolerated dose (MTD) and evaluated the safety and efficacy of poziotinib combined with paclitaxel and trastuzumab in patients with HER2-positive advanced gastric cancer (GC). Patients with HER2-positive GC previously treated with one line of chemotherapy received oral poziotinib (8 mg or 12 mg) once daily for 14 days, followed by 7 days off. Paclitaxel (175 mg/m2 infusion) and trastuzumab (8 mg/kg loading dose, then 6 mg/kg infusion) were administered concomitantly with poziotinib on day 1 every 3 weeks. In the phase I part, 12 patients were enrolled (7 at dose level 1, 5 at dose level 2). One patient receiving poziotinib 8 mg and 2 receiving poziotinib 12 mg had dose-limiting toxicities (DLTs); all DLTs were grade 4 neutropenia, one with fever. The most common poziotinib-related adverse events were diarrhea, rash, stomatitis, pruritus and loss of appetite. The MTD of poziotinib was determined to be 8 mg/day and this was used in the phase II part which enrolled 32 patients. Two patients (6.3%) had complete responses and 5 (15.6%) had partial responses (objective response rate 21.9%). Median progression-free survival and overall survival were 13.0 weeks (95% CI 9.8–21.9) and 29.5 weeks (95% CI 17.9–59.2), respectively. The MTD of poziotinib combined with paclitaxel and trastuzumab was 8 mg/day. This combination yielded promising anti-tumor efficacy with manageable toxicity in previously treated patients with HER2-positive GC. The online version of this article ( https://doi.org/10.1007/s10120-019-00958-4) contains supplementary material, which is available to authorized users. Editorial assistance, under the guidance of the authors, was provided by David P. Figgitt PhD, ISMPP CMPP™, Content Ed Net, with funding from Hanmi Pharmaceutical Co., Ltd., Seoul, South Korea. The study was sponsored by Hanmi. Yung-Jue Bang has served in consultant/advisory board roles for AstraZeneca, Novartis, Genentech/Roche, MSD, Bayer, BMS, Eli Lilly, Merck Serono, Taiho, Daiichi-Sankyo, Astellas, BeiGene, Green Cross, Samyang Biopharmaceuticals and Hanmi, and has received research grants from AstraZeneca, Novartis, Genentech/Roche, MSD, Merck Serono, Bayer, GSK, BMS, Pfizer, Eli Lilly, Boeringer-Ingelheim, MacroGenics, Boston Biomedical, FivePrime, CKD Pharma, Ono, Taiho, Takeda, BeiGene, Green Cross, Curis, Daiichi Sankyo and Astellas. Soo-A Jung and NaMi Lee are employees of Hanmi Pharmaceutical Co., Ltd., Seoul, South Korea. The other authors declare no conflicts of interest. All procedures followed were in accordance with the Declaration of Helsinki and the International Conference on Harmonization Good Clinical Practice Guidelines and the study was approved by the Institutional Review Board of each participating center. All patients provided written informed consent before enrollment.